The price comparison is an essential part of any marketplace because every customer wants to purchase the best products after comparison of different aspects like – product price, seller rating etc. The customer can easily compare the product price, rating, etc. and make it the best deal. And, It will help to increase sales conversion. 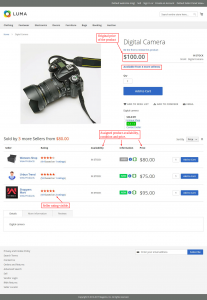 With the help of the Marketplace seller price comparison module, multiple sellers can add the same product which does exist in the global catalog with a different price. And the customers can also compare and choose the best seller’s product. If multiple wants to sell the same product then the sellers can assign the new price, quantity, and condition like new or used to the same product. For example, there is a product Apple iPhone which is available in the marketplace and a seller wants to sell the same product with different price, condition, and quantity. The customer always wants to purchase the best seller’s product. Sometimes the customers do not have time to visit many websites or collect coupons to find the best price of the product. 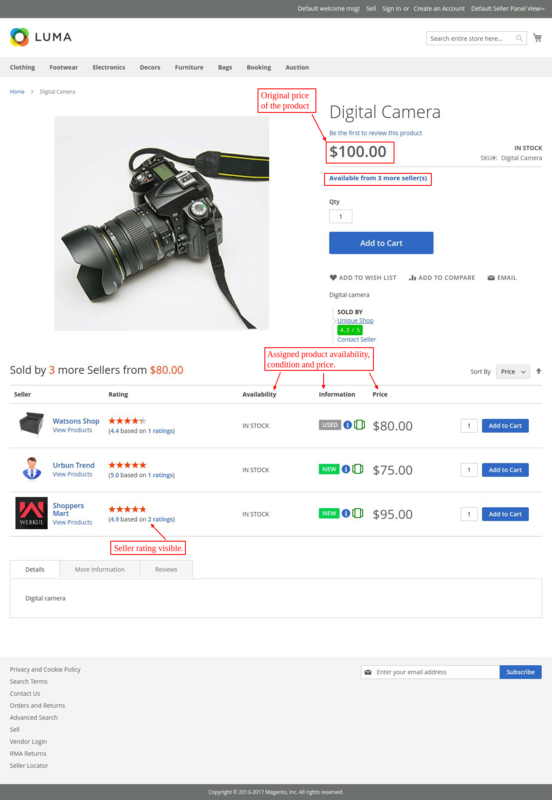 So they can easily compare the different sellers and their prices for the same product. 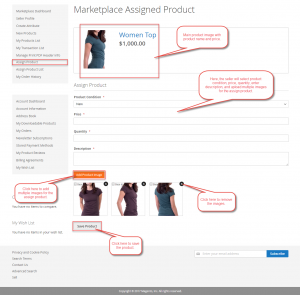 If multiple sellers are selling the same product then you need to make some modification in the same product if you want to increase sales of your product. Now, using this module, Sellers can assign products to the new price, quantity, and condition Like New or Used.